What is it like to be a private investigator in Ireland? Is it all gumshoes and dames? No, not really. 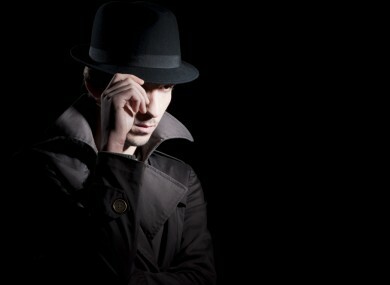 YOU MAY NOT know this, but Ireland has private investigators. Lots of private investigators. But what do they do? Do you climb the stairs in a wood-panelled to find a hard-boiled gumshoe downing scotch and lamenting some hood that used a lip to ankle outta court? Mostly, PIs in Ireland deal with corporate investigations, frauds and matrimonial cases. Their day to day is a mix of investigation, research and field work and it is always varied. PIs are, unsurprisingly cagey about revealing the specifics of their jobs and their own identities. None that spoke to TheJournal.ie wished to be identified. However, those that did speak said that the job and public perception are worlds apart. I don’t often tell people what I do for a living, but when I do, people think it’s all going through bins and saving dames. It is not. In Ireland, there are a number of styles of PIs. “There are different levels of investigators and would specialise in different ranges,” says a corporate investigator of decades experience. Like any industry, there are people who gravitate to certain types of work, with some people not doing matrimonial work and others don’t do insurance work. However, you can’t just be a PI. It’s a very difficult business to get into. You can’t just become a PI, you have to find a company to take you on, but even that is very difficult because companies have operatives that they’re comfortable with. The idea that the job is as portrayed on TV is something that irks most PIs. “Ordinary people think we’re like off the TV, but we have to work within the Data Protection Act,” says one. Much of a PIs work is referred to them by legal or insurance firms, an arena that leads to some interesting cases. “I had to check on a man who was claiming he had whiplash after a car crash. The insurance company wasn’t convinced, so they had me follow him. Another PI tells a story of two young men who tried to scam a hotel. “It looked like one of the lads had slipped and broken his knees on the bathroom floor. The hotel was going to be caught for a lot of money, so they asked me to look at it, more out of hope than anything. As I investigated it and asked a couple of people, it came out that while drunk, they had settled on this plan where one would sit on the edge of the bath with his legs stretched and the other jumped off the toilet and stamped on his knees. Marital issues make up a lot of business for PIs, with many reluctant to talk about methods or cases because of the sensitive nature of the cases. PI Audrey Christie says that she is reluctant to talk about marital cases out of the loyalty to her clients and this is seen across the industry. What comes from speaking to PIs is that they want their industry regulated. Many are members of worldwide organisations, but the industry is not currently licensed by the Private Security Authority. A license will be brought in next year, and will cut out “fly by night” organisations, one PI says. So many people are doing it and they work in the shadows and I don’t want to work in the shadows. Email “What is it like to be a private investigator in Ireland?”. Feedback on “What is it like to be a private investigator in Ireland?”.